PC Printer Repair, Dallas Home PC Service, Software Deployment, Oak Cliff Dallas Computer Hardware Repair, Computer General Networking, Dell PC Repair Service in Oak Cliff Dallas, TX, Microsoft, Dallas PC Printer Repair, Avg Virus, PC Support in Dallas, TX, Virus Software, Computer Network, PC PC Repair in Oak Cliff Dallas, Texas, Hardware, Computer Repair And Service, Dallas Network Repair Company, and Computer Consulting in Dallas, TX. Increase your productivity with the convenience of computer network. Basically, a computer network is two or more computers connected together so that each can access and share the files on the other. This type is a peer-to-peer network. Another type of computer network is called client/server and is run from a central computer called a server. There are local area networks (LANs) that connect together all computers in one office and there are wide area networks (WANs) that can connect together computers in separate or remote offices. In either case, networking your computers together can save time, increase efficiency and improve productivity for your business. Our comprehensive networking services can be "mixed and matched" or customized to meet your specific business needs. We guarantee all our work. We will assess your existing computer systems and infrastructure and discuss possible options that best match your company needs and goals and make any recommendations. And if needed, provide a written estimate based upon what you decide you would like us to do. 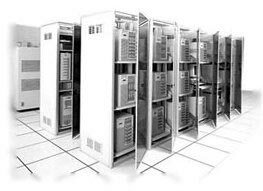 We design and install new computer networks based on how your firm or home-based office operates. After consulting with you, we can install a custom-designed network with new servers and/or desktop computers built to your exact specifications. We can upgrade existing computer networks for more capability and/or capacity. After study of your system and consultation with you, we will recommend and implement upgrades to your system based on what you need. Having to constantly search for important files on a poorly organized networking environment is a real time-waster. We can help you get your important files properly organized on your network. This may include a file server or a network attached storage system (NAS) that give you more disk space and greater controls in saving, organizing and sharing files on a network. We can also assign access rights to each computer, server, file or folder so only those who have been permitted can gain access to certain items. This secures important systems and files and can protect against unauthorized access. This can include Active Directory Group Policies, NTFS folder/file share permissions or other access control methods. We can also secure a network from an Internet connection with the use of a dedicated Computer Network. Don't waste time with system crashes, network errors and other IT headaches. 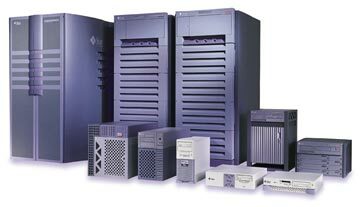 We can come onsite and quickly troubleshoot, diagnose and repair computer networks (with or without servers) that are unreliable or problematic. And we'll ensure that your computer systems become as reliable and problem-free as they can be. If you've come to depend on your computers and are currently experiencing any complaints at all, call us today, before they get worse and lead to other more serious issues. Regularly scheduled network maintenance and inspection of your networked systems can greatly minimize future down-time. System cleaning, inspection of backup systems, hardware testing and log reporting will help ensure that your network and its computers will continue to run effieciently. We can provide same-day emergency service in most cases (within 24 hours). Without properly functioning computer systems, you can be victim to costly downtime and lose productivity and revenue. It is our intention to get your computer and network systems back up and working as quick as possible. We always consider cost vs. benefit when providing a solution. We will arrive on time and on scheduled all the time. We travel all over the greater DFW Metroplex fixing and maintaining computers and networks 24/7 so you can be assured we will be there for you when you need us most. We also can provide network monitoring, networking services, computer printer networking, computer network networking, wireless networking, networking security, cisco networking, wireless home networking, window xp networking, home computer networking, network management, network monitoring software, network design, network administration, network adapter, network storage, monitor networks, wireless networks, network printer, network adapter, network solution, network router, network administrator, local area networks, network camera, storage area networks, network attached storage, network card, home networks, network cables, network support, wide area networks, network service, network appliance and network security software.